I love to create nature corners around the house with my son. He is the proud collector of the materials and I am the organizer. 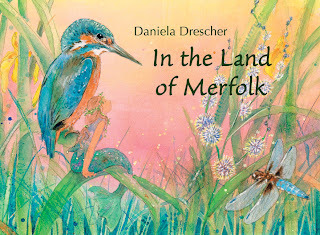 This corner is created after reading 'In the Land of Merfolk' by Daniela Drescher my favorite illustrator. It is so lovely to visualize a book together with your child simply using repurposed and natural materials and your imagination. 1 - Glue the terracotta or glass plate onto the bottom of the Mason jar and place it in the bowl. 2 - Surround it by stones. 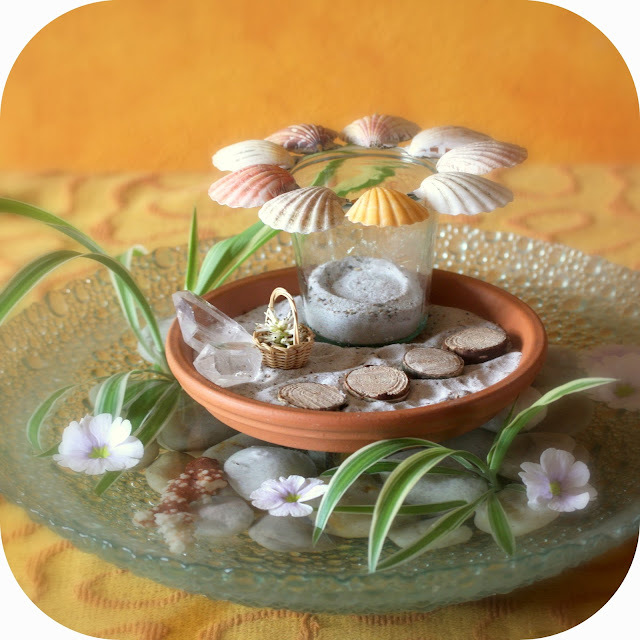 Decorate the top of the second Mason jar with shells, stones or wood using the hot glue gun. 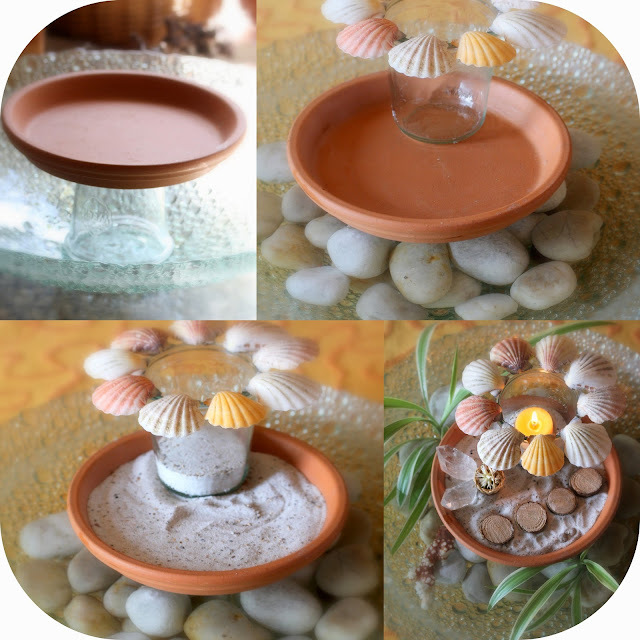 3 - Fill the terracotta plate and the jar with shell sand and fill the bowl with water. 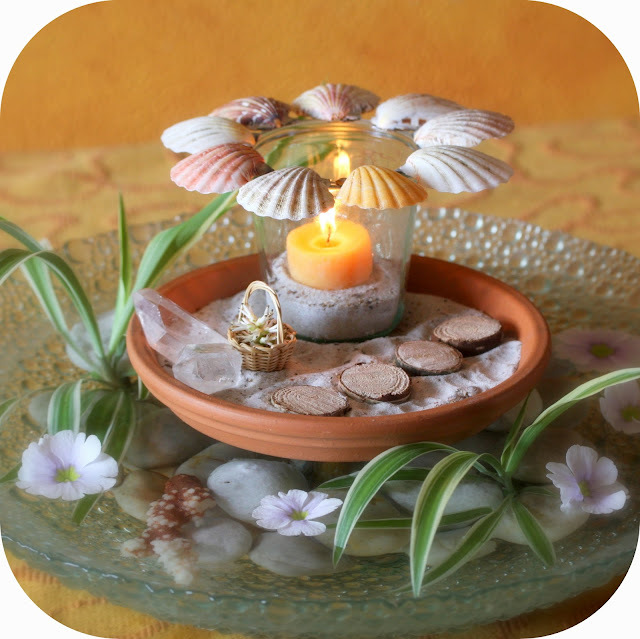 4 - Decorate with plants and flowers to create a magical scene. 5 - Finally light the candle and enjoy the scene reading a related story book. and a big :+) from Holland! Thank you for visiting Dee! So lovely to hear Meadow! We love these books too, they are my personal favorites. Daniela Drescher has now illustrated Grimm's Fairytales, I can't wait till it is translated in Dutch! beautiful! 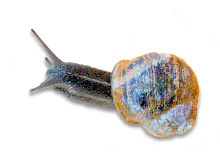 (eyes shell collection) I'm off to make one myself! Thank you for sharing! it will be lovely for sure (I have seen your fairy door)! sending you a kiss from Holland! Hermoso arreglo, lleno de detalles, me encanta! Hug for you too dear Silvina and thank you! This is so sweet Sas! I would love to have you over for tea one day! We could go down to our beach and collect shells and then you could read us the Dutch story books that we have from my husband's childhood! He's not very good at translating now! ;o) My favourite is "Welterusten, kleintje", the illustrations are gorgeous! 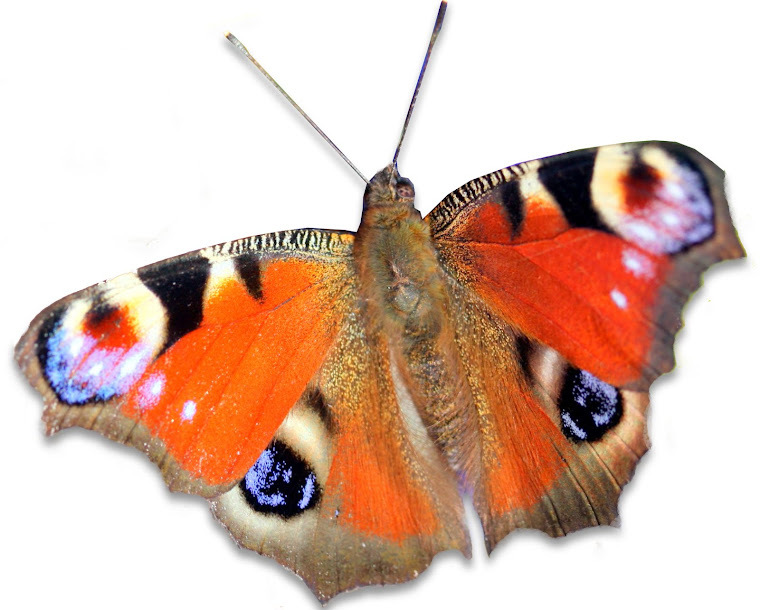 I will most definitely be trying your Dutch versions with the kids, that sounds fantastic!